Late this afternoon I was talking with our data scientist about some numbers I’d been curious about, hoping he could research them and get back to me with some findings. In particular I was looking for statistics on product usage via apps, and if we could find some metrics for how long after purchase people interact with products in-app after before they hit a tipping point where usage falls off. The hope is that by better understanding product lifecycles we’ll be able to better serve customers additional products and experiences at the point when they’ve exhausted the benefit of their previous purchase. As I explained to him my user story, hypothesis and possible campaign strategy, I found it was remarkably easy to explain the concept of appropriately-triggered, personalized lifecycle marketing as a kind of quest to deliver a “continual high.” The basic concept is that for our product (as with many others), one of the main purposes is to help customers achieve pleasure. Whether that’s aesthetic pleasure, physical pleasure or even the pleasure of accomplishment doesn’t matter so much as the fact that pleasure is the main goal. It is a basic tenet of our nature to continually seek out pleasure and minimize pain in our lives (yes, this is my philosophy and psychology backgrounds talking), and as such, most of the decisions we make in life are with this “maximization of pleasure” in mind. When we achieve these “pleasurable experiences” our bodies undergo a process in which they create additional dopamine, which is what gives us the highs we experience when we encounter a desirable sensation or accomplish a goal. The problem is that, just like with drugs and alcohol, the dopamine increase is a short-lived phenomenon, and in order to continue to experience the physiological benefits of that dopamine, we have to continue to create it. It’s why games have different levels or achievements – each time you beat a level or unlock an achievement you’re given a sense of accomplishment, which can lead to pride, which leads to an increase or rush of dopamine. … message customers at the time when the high starts to wear off. Eventually though the effects fade enough that we give up on an experience once we’ve exhausted its pleasure-causing ability, and seek out a new stimulus to give us a stronger high – and this is where understanding of customer behavior and expired perceived utility can be most important. 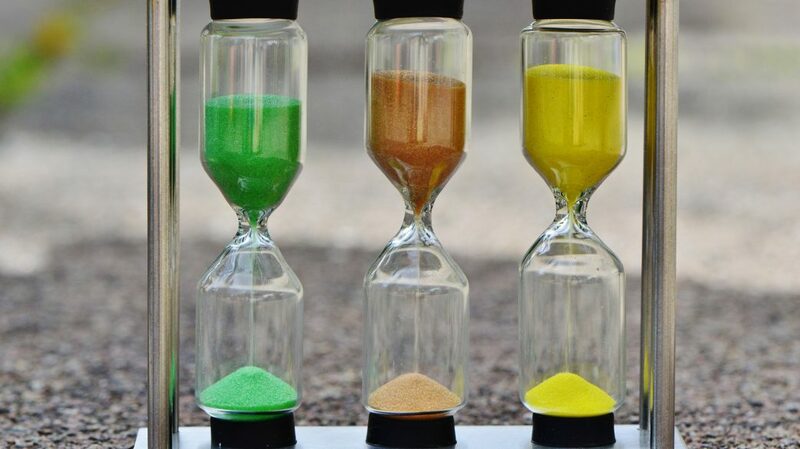 Rather than looking at the more time-focused approaches of lifecycle marketing where you look at the time for messaging a customer based on when they are likely to physically need a new product (i.e. how long until you need new contacts or your shoes are likely to wear out) I believe it can be much more appropriate to message customers at the time when the high starts to wear off. So, instead of sending out a promo for new shoes at the same time frame you see customers needing new shoes (say, seasonally), instead learn when the excitement of those new shoes starts to wear off. Of course this won’t work for all customers (a guy buying work boots is buying mostly for utility) but if your customer is purchasing shoes for fashion, they are much more likely to be acquiring their pleasure through the novelty of the new shoes and the responses he or she gets from others by wearing them. Once they’ve exhausted this psychological utility (i.e. no one notices them), then at that point the shoes have lost much of their actual perceived value, and that would be the time to message the customer about a hot new pair of shoes. The same general concept can be applied across most products and services. Look at what the psychological reasoning is for wanting to acquire a product. If you’re selling records, your buyer probably wants to experience the aesthetic value of good music, and gets their dopamine rush from that. Again, that fades (and it’s why pop songs are called what they are) – so then it’s time to pump out another pop song to keep the audience engaged, rather than seeking out a new form of rush like (heaven forbid) a book. By focusing on how customers use product, helping to increase their perceived value from that product (a topic for another post) and messaging them with the next product at the right time we can keep them engaged with our products and brands. Remember: people will always seek out pleasure. You want to do your best to make sure that your product is the one they choose each time their pleasure starts to wane and they seek out that all-new high.